No matter how advanced our devices become, there is always one limitation that ends up putting the fire out: Battery life. Our smartphones, notebooks and other gadgets have ended up providing us with greater functionality and control in our lives. Yet, our devices function only as long as their battery pack allows them to. And even for the most advanced gadgets out there, battery life rarely lasts more than a day and a half. Well, all this can change if researches at Singapore’s Nanyang Technological University have their way. These researchers have developed batteries that have ten times the lifetimes of our current batteries. These new lithium-ion batteries will be able to endure 10,000 charging life cycles, which is immense when compared to the 500 life cycle limit that most batteries have today. 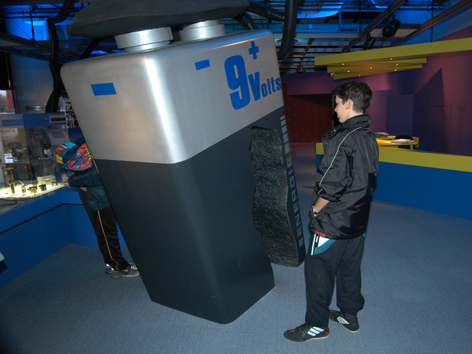 Singaporean Researchers Develop Battery With 20 Years Life And Ultra-Fast Charging. Not only will the battery developed by the Singaporeans have ten times the life of today’s battery, but it will also have ultra fast charging. The new litium-ion battery can be charged up to 70% in only 2 minutes. The principle behind this is simple. Instead of the simple graphite anodes present in your standard lithium-ion battery today, these new batteries will come with titanium dioxide anodes instead. This titanium dioxide gel not only increases the battery life, but courtesy of miniscule nanotubes also increases the charging time on this battery significantly. And the best part is that there are no manufacturing complications involved with large scale manufacturing of the gel. The titanium tubes are both easy and cheap to manufacture. Until now, their use is primarily being advocated for electric cars, since having longer lasting and fast charging batteries removes many hurdles that consumers might face. But who’s to say they won’t make it into our gadgets and smartphones in particular. Fingers crossed.